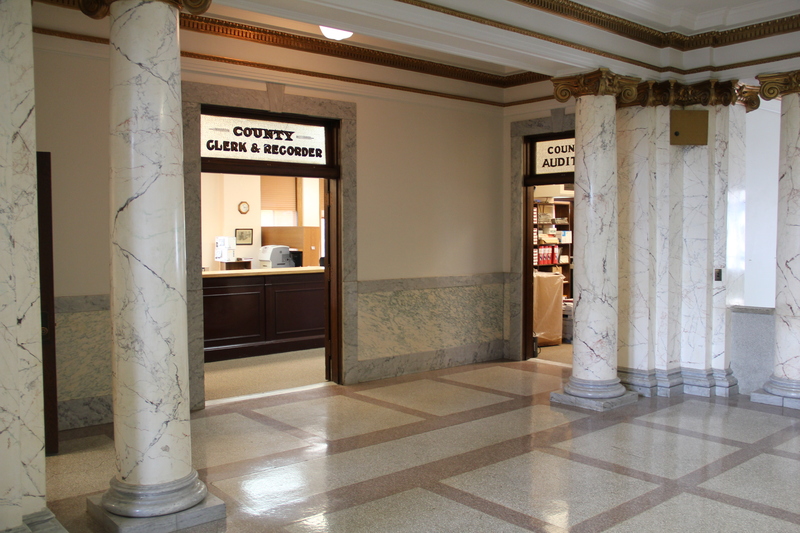 The Rosebud County Courthouse in Forsyth is listed in the National Register of Historic Places. 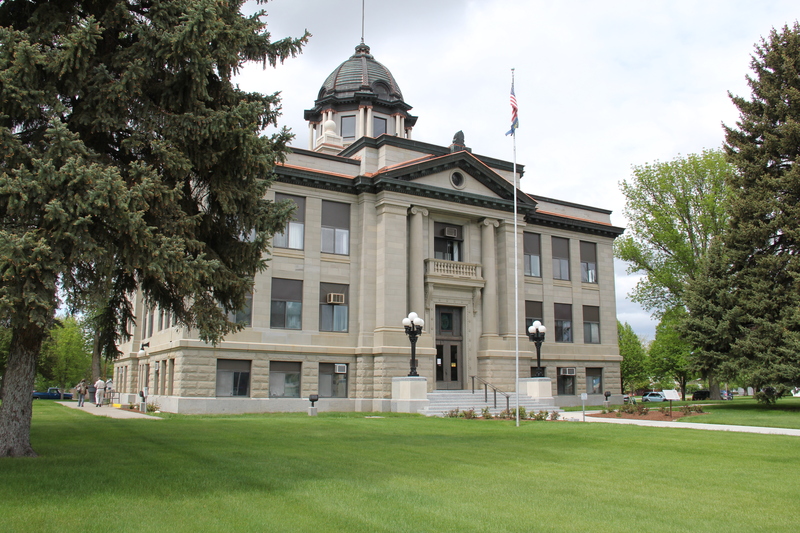 Rosebud County encompasses a huge swath of eastern Montana, with its upper reaches touching the Musselshell River in central Montana and extending south almost to the Wyoming border. A good bit of the Tongue River winds through the county and the name comes from Rosebud Creek, which empties into the Yellowstone at the town of Rosebud. The county seat of Forsyth is a Northern Pacific Railroad town from 1881. For its first generation, it was a rather minor place stuck as it was between Miles City to the east and Billings to the west: there is no census data for Forsyth before 1900. But in the early 1900s, two developments changed Forsyth’s fate: the arrival of the Milwaukee Road, which cut a new path through the county north of the Yellowstone before turning northwest at Forsyth, and then the homestead boom of the 1910s, which county leaders wanted to take advantage of to change their fortunes. The business district is based on a symmetrical plan, facing the tracks. Forsyth leaders already understood the need to have an impressive business district facing the railroad tracks. But they also wanted to show anyone that Forsyth was ready for a stop, and visit, and you could live somewhat classy in a stylish well-appointed hotel. 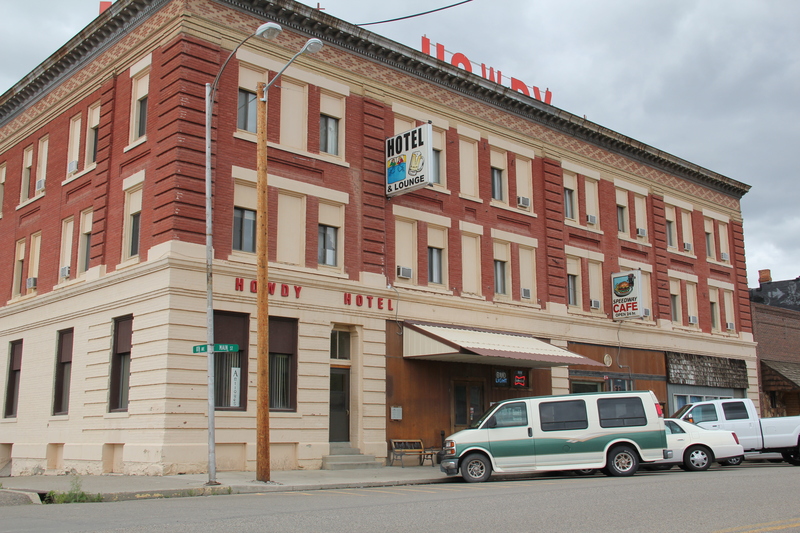 The Howdy Hotel (1903-1906) is a rare surviving small-town “booster” hotel, built to impress traveling businessmen that Forsyth was a place of promise. 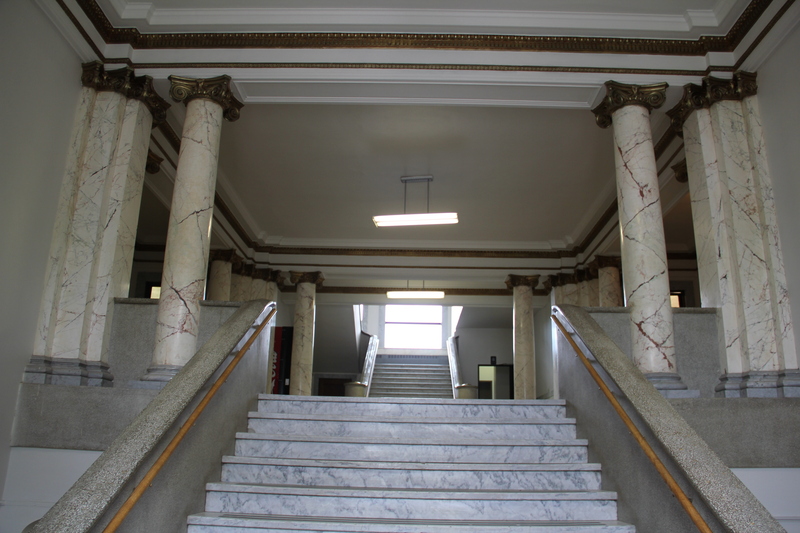 Designed by the Billings firm of Link and Haire, the building’s classic Renaissance Revival look was impressive for a small Montana town. 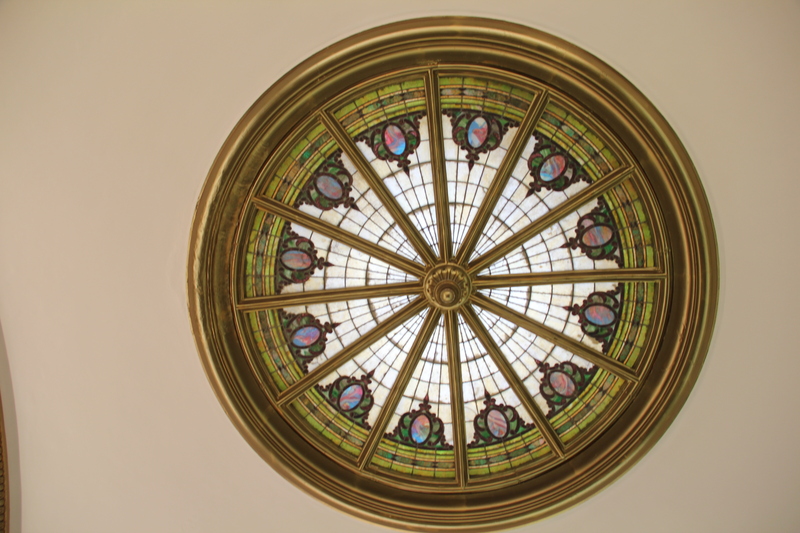 Hiram Marcyes was the owner-operator of this early Forsyth landmark. About five years after the opening of the hotel, local leaders decided that the time was right–and the recent boom had no foreseeable end–to maximize on the promise of their little town and build another landmark facing the tracks. 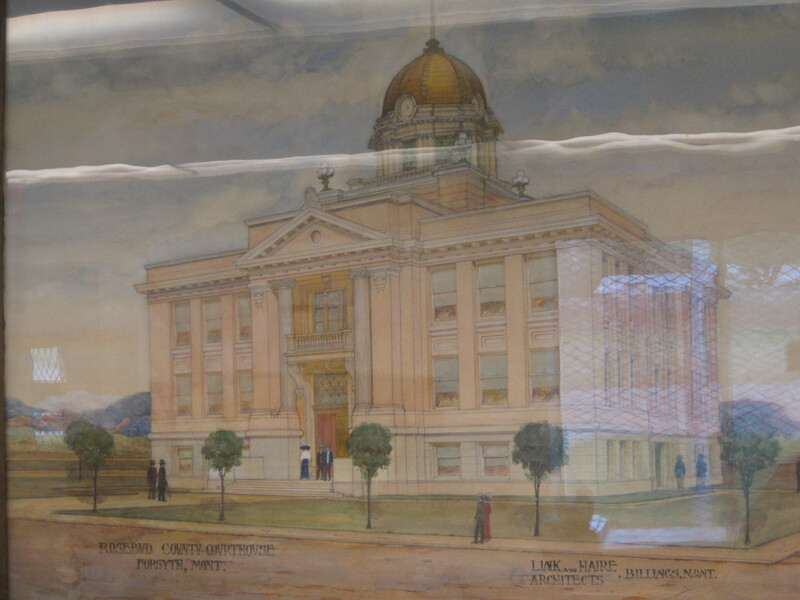 Construction of a new Rosebud County Courthouse, designed in grand Classical Revival fashion by the firm of Link and Haire of Billings, began in 1912 and was opened, after a dispute over cost over-runs, in 1914. 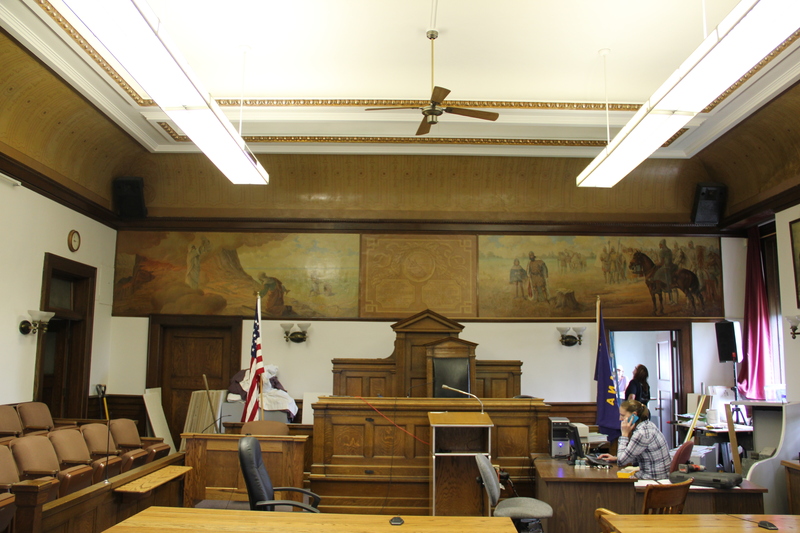 Link and Haire’s original rendering of the courthouse is displayed at the Rosebud County Museum. 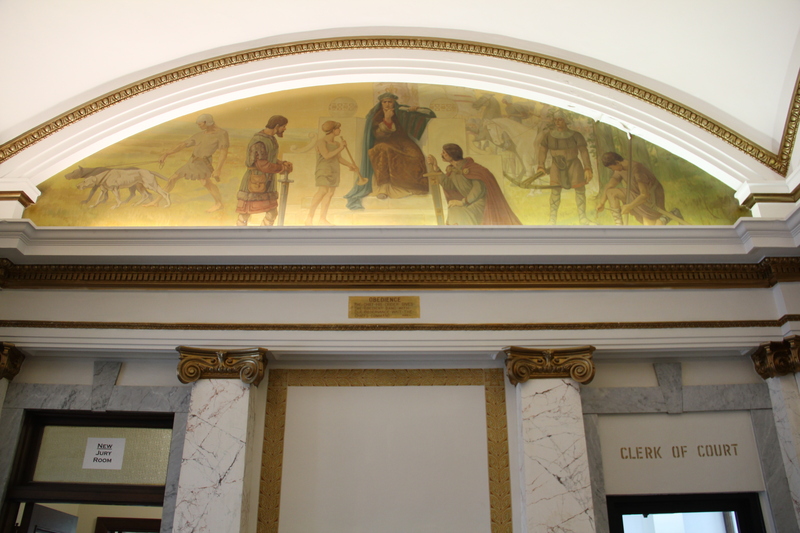 This courthouse is a marvel for a small town, and speaks so strongly to local boosterism during the homesteader boom of the 1910s. 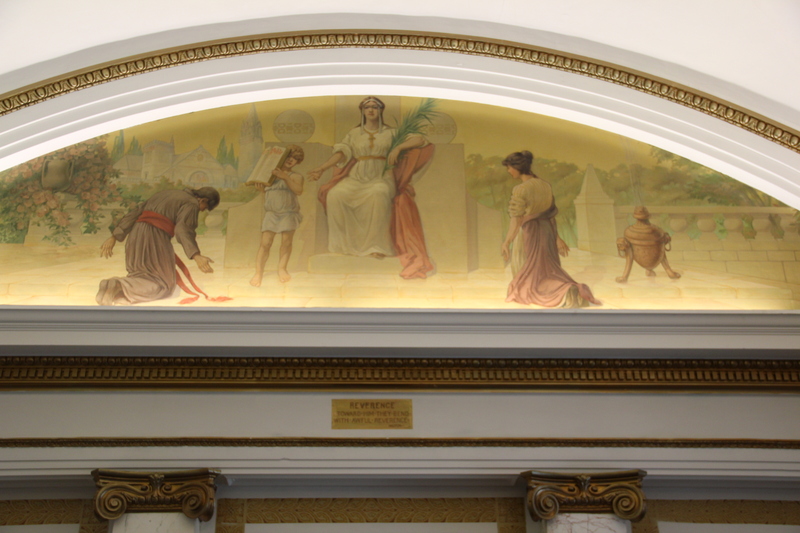 Little has changed since original construction, except that a separate jury room for women was turned into a law library in the 1930s, and of course there has been updates to lighting and technology since then. 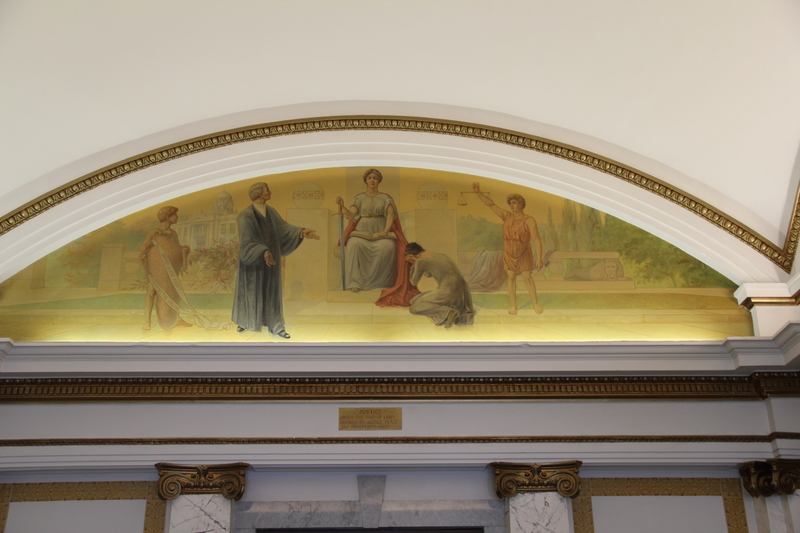 The courtroom features two historical murals, interpreting two events seen as crucial underpinnings of the American system of justice: Moses bringing the Ten Commandments and the signing of Magna Carta. 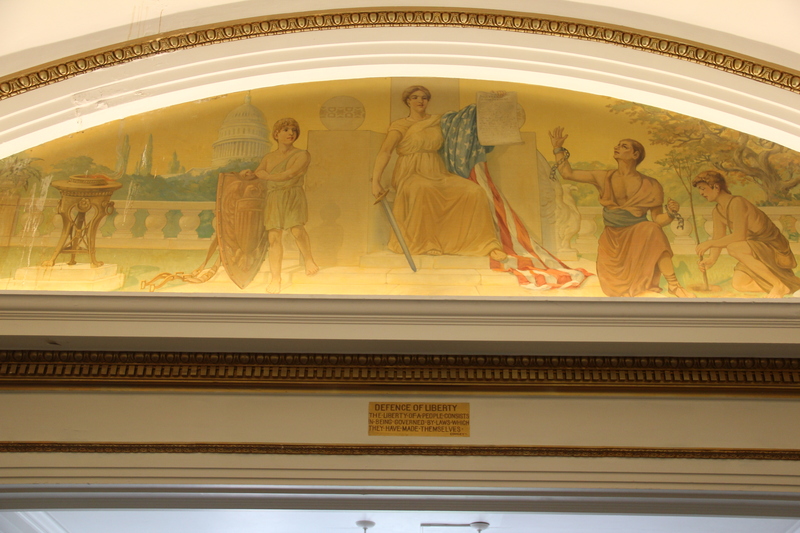 Then, in the upper Rotunda lobby outside the courtroom, are four symbolic depictions of themes such as Obedience, Reverence, Defense of Libery, and Justice. 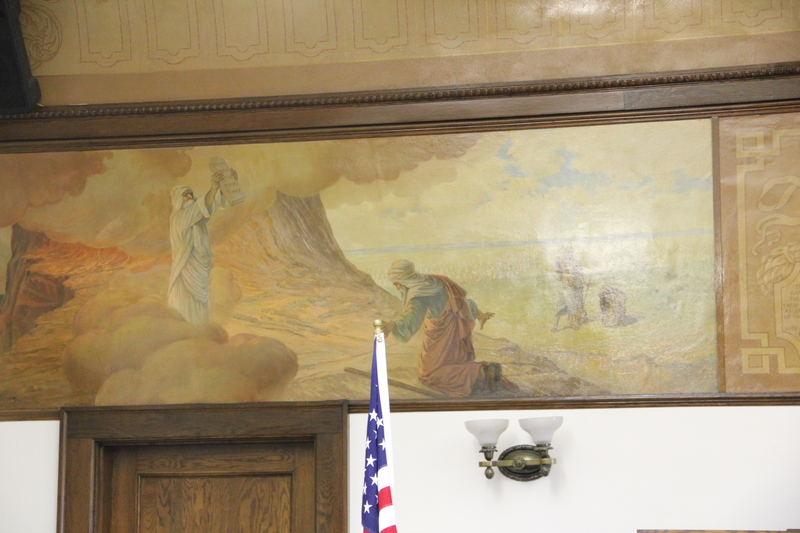 Of the four Justice has been my favorite since faintly, in the background, is the Rosebud County Courthouse itself. 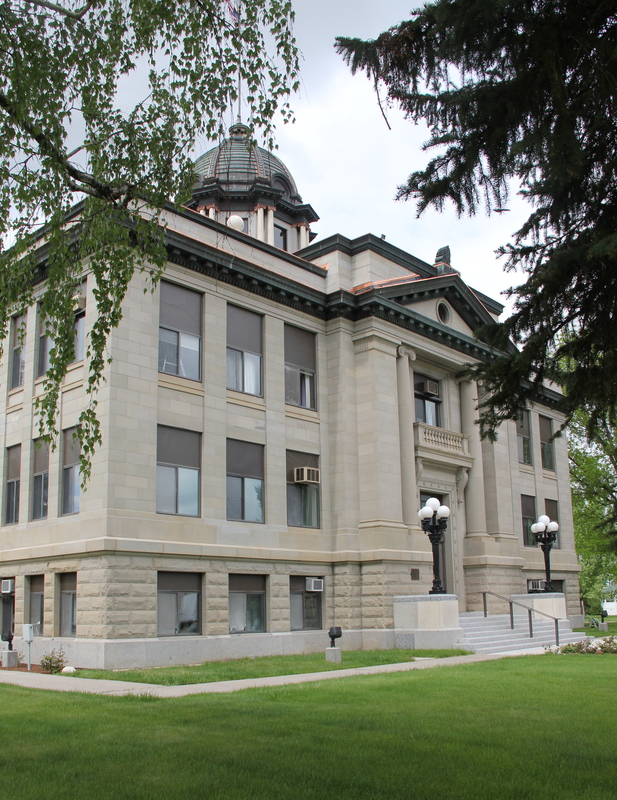 The Rosebud County Courthouse was a remarkable building, and when in 1984 I spoke to the community about preservation and local landmarks at the adjacent Rosebud County Museum we discussed how its recognition would be a good place to start anew a local heritage effort. 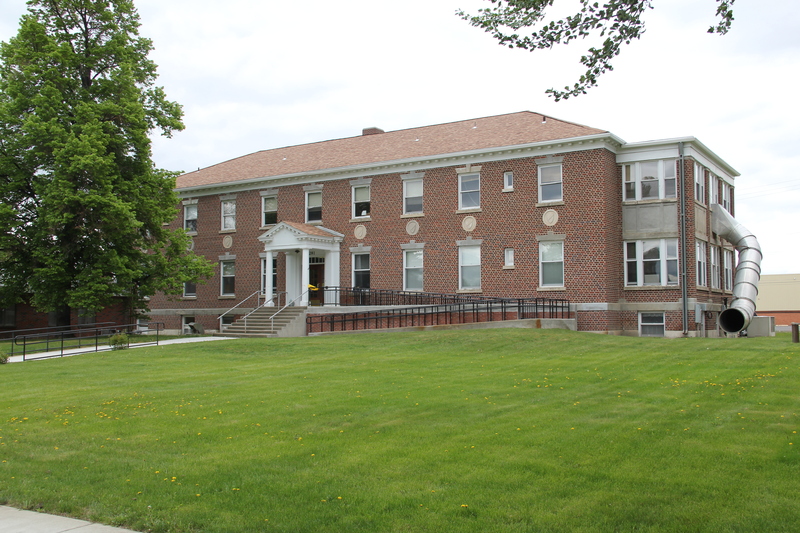 When I visited then the county had only one property listed in the National Register, the Rosebud County Deaconess Hospital, a very worthy Colonial Revival style building dating to the late 1910s and representing the local reaction to the great flu epidemic of 1918. Deaconess Hospital, Forsyth, MT, 1919-20, by McIver, Cohagen, and Marshall of Billings. 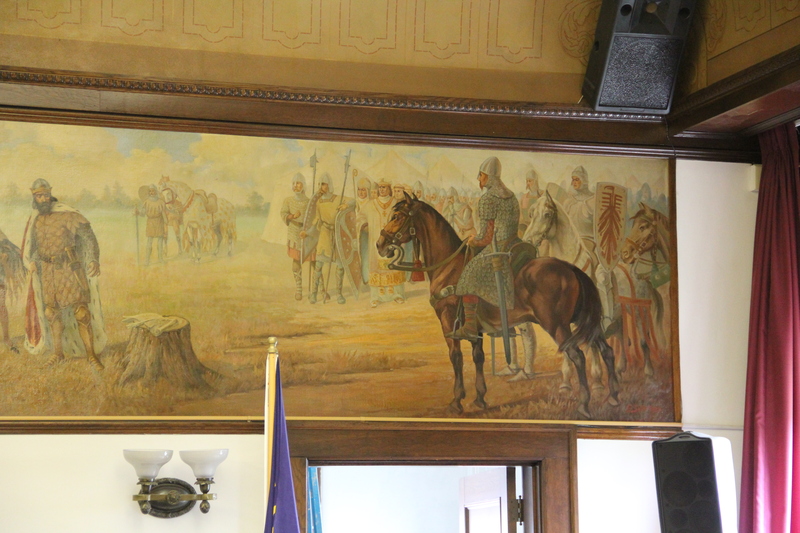 McIver, 30 years later, would design the VA hospital at Miles City. 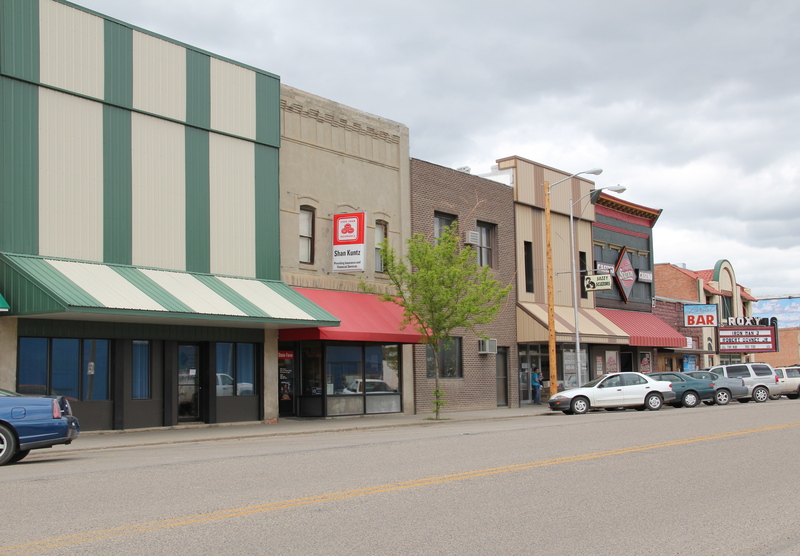 In 1986, the county would have its second building, the Rosebud County Courthouse, and today the two public buildings still ennoble the town’s architecture and remind anyone passing by of the hopes and sense of community found among eastern Montana town builders in the early 20th century.